It wasn’t too long ago, I discovered the correct way to peel a banana, and I’ve been utilizing the technique ever since. I thought at that point I learned all there is I need to know about bananas, until now. 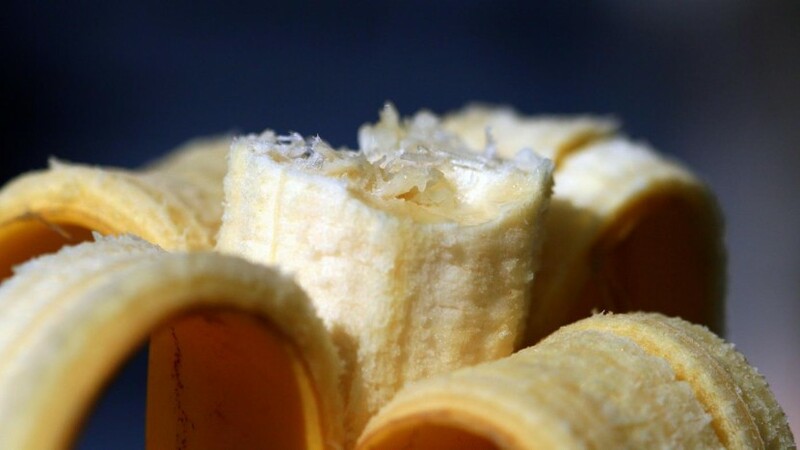 Not only does the banana itself provide great health benefits, apparently so does the peel. The banana peel is said to contain vitamins and nutrients that can aid in a number of things, including weight loss and boosting your mood. And when it comes to being diet friendly, the peel adds no calories to your daily diet, only extra sustenance. But, how do you eat banana peels without feeling some type of way, you ask? “Adding the peel of your banana to a smoothie is a good way to enjoy its benefits, adding fibre to the drink and helping you feel fuller for longer,” said Flores. “Vitamin C aids the body in healing, growing new tissue and ligaments, while fibre can help you feel fuller for longer, making the skin diet-friendly. The peel is also high in the mood-boosting hormone serotonin – a neurotransmitter derived from tryptophan. Place a ripe banana skin (be sure to cut off the stem and the opposite black end) in a pot with enough water to cover it. Boil for about 10 minutes, strain, and drink plain or with milk and your sweetener of choice. So, before you go tossing that banana peel, why not blend it whole and enjoy a smoothie (among many other things), or make a relaxing cup of hot tea to calm the nerves, or cure a hangover?